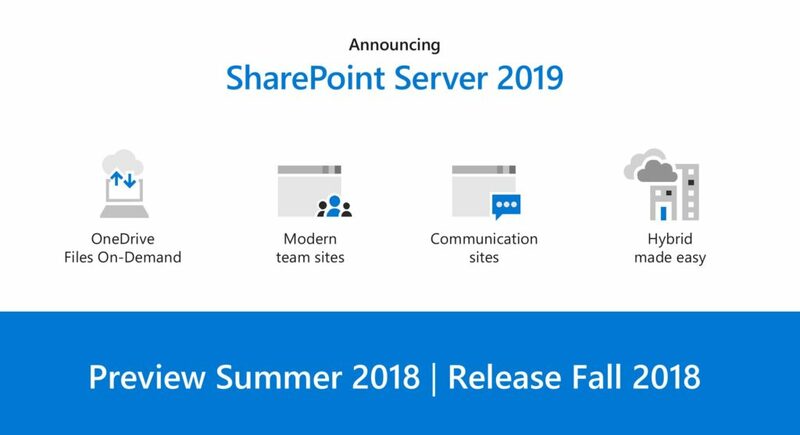 Microsoft holding to it's commitment of releasing SharePoint Server 2019 Preview in early summer announced the release of it on July 24th. If you haven't read what is contained in SharePoint Server 2019, please review my early blog post titled; SharePoint Server 2019: What you can expect that discusses the expected enhancements, new features and functionality, as well as what has been removed from this version of SharePoint on-premises. Microsoft has hinted the production release, which normally follows the preview release, is expected sometime in the fall of 2018 and when it does, I'll be sure to update you with a blog post discussing the SharePoint Server 2019 RTM. Microsoft Teams for Free…Say what?